Bizagi Studio provides a collaborative environment where a team can work simultaneously on the implementation of processes. This section illustrates how to set up a teamwork collaboration environment for the authoring/development, so that users work together on a project hosted at a central server, directly from their workstations. The teamwork collaboration system architecture in this setup, relies on Bizagi Studio connectivity features, and follows best security practices (applies when using SQL Server). For this setup, it is required that the network presents a low latency in order to accomplish a best user experience for Bizagi Studio users (a low latency being usually covered by having workstations connected in the same network segment as the one for the central servers, the common setup involved for on-premise corporate topologies). •Bizagi Studio will be installed both at the central server hosting the project (referred to as the Development project host), and at each of the connecting workstations. 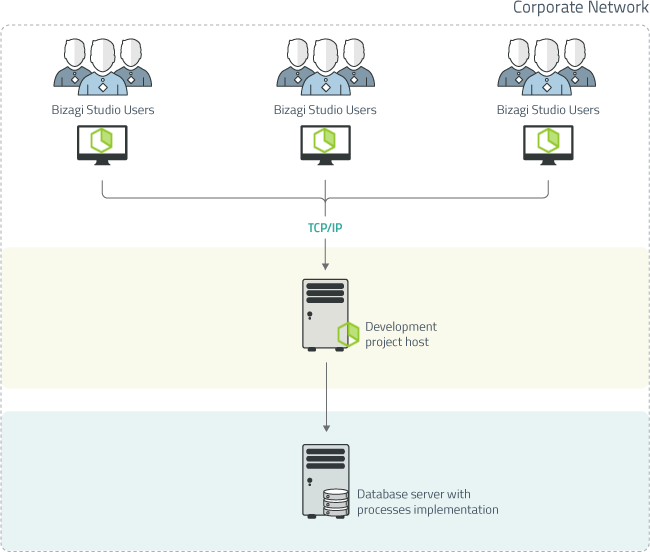 •Bizagi Studio workstations will connect via TCP/IP to the Development project host and to the database. The primary port used is TCP 5679. 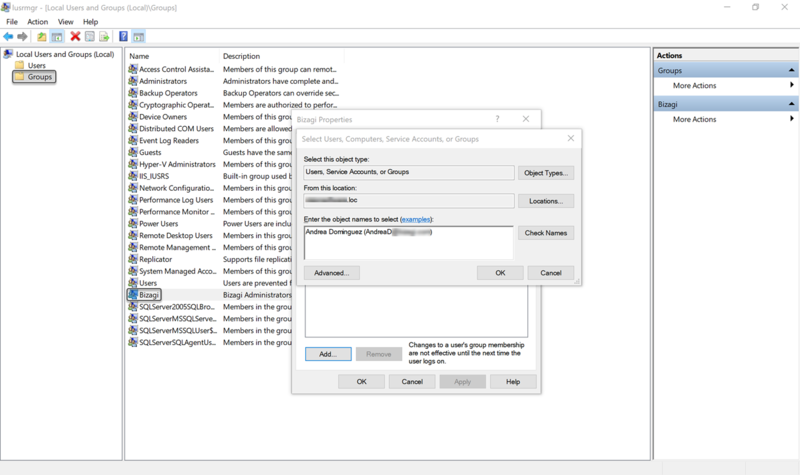 •Bizagi Studio workstations will connect to the database by using a SQL Server login account that has the strictly required rights. The Bizagi Studio at the Development project host will use a SQL Server login account with higher privileges in order to setup the project and manage it. •Though it is not mandatory but a best practice, it is recommended to use a dedicated server to host the database (separate from the Development project host). For more information about this setup and Bizagi Studio's connectivity features, refer to Teamwork collaboration using Bizagi Studio. There are two main profiles involved in the setup: Bizagi Studio users, and the Development project administrator. Team members working on a Bizagi project simultaneously at the authoring/development stages from their workstations, are referred to as Bizagi Studio users. 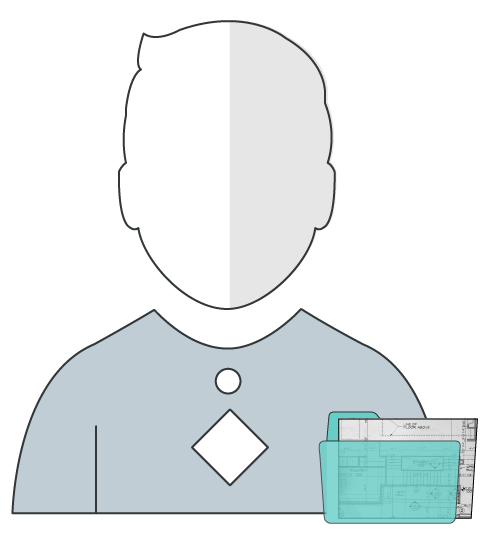 Each user falls under this category regardless of his/her role within a Bizagi project (be it a process analyst documenting the workflow, a developer for application integration, or a process automation professional designing UI, among others), and each user will connect through Bizagi Studio while using their own Windows account. 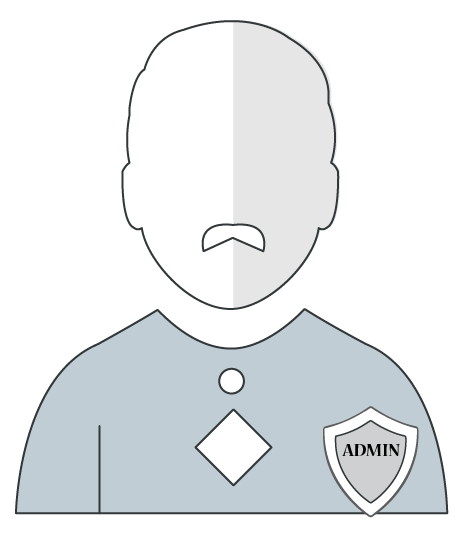 There will be one user who will need to be responsible of managing the project and have granted rights at the development project host (remote desktop access, being a local admin). This profile is referred to as the Development project administrator, and its main tasks are to create the project, deploy it, upgrade its version or perform other admin tasks when needed. If the development environment's database server is run exclusively by a database administrator, then he/she may interfere by creating 2 SQL Server logins to be used by the different profiles: one for the Development project administrator (used only at the development project host), and another one for all other Bizagi Studio users (used at the workstations). Before moving on, it is required to make sure that the following prerequisites are met at the servers. •A supported Windows operating system and IIS version (e.g, as offered by Windows Server 2012 R2, 2012, 2008 R2, 2008). IIS versions 7 or above. IIS versions 7 or 7.5. IIS versions 7 or above, for performance enhancements. IIS versions 7 or above, recommended especially for an enhanced security setup of Bizagi's SOA web services. IIS versions 7 or above, when using Windows authentication. For more information about enabling the IIS and its components, refer to IIS configuration. •A supported SQL Server version (e.g, 2012, 2008 R2, 2008). To be used when the project administrator creates the project. To be used afterward when upgrading the project's version. Bizagi Studio users will not need to input this login, though it will be used by default for any member connecting to the project. Note that to create these login accounts, an account having the sysadmin server role is needed. If the development environment's database server is run by a database administrator, he/she may use his account for this purpose. For more information about creating these SQL Server logins, refer to Advanced configuration of SQL Server login accounts. 1. Installing Bizagi Studio at the Development project host. 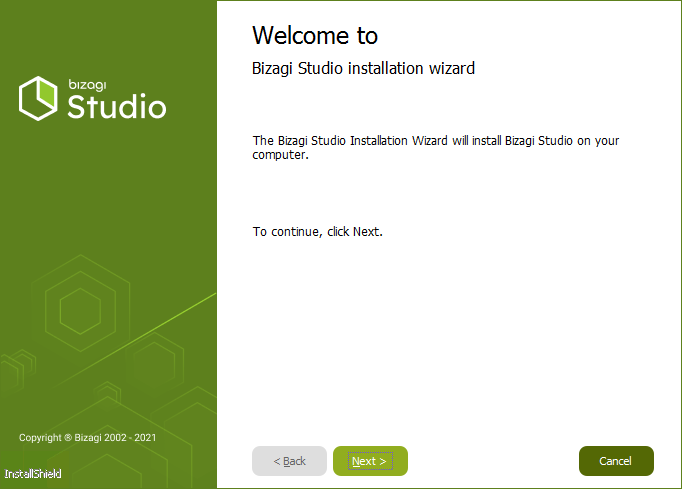 A simple installation step done by using Bizagi Studio installer and its assisted steps. 2. Verifying Bizagi rights for the Development project administrator. For any user to be able to create projects or connect to them in Bizagi, authorization must be granted to that user. 3. Creating the Bizagi project. A wizard will assist the project creation and automatically set its database repository and IIS components. 4. Configuring the database login account for connecting Bizagi Studio users. 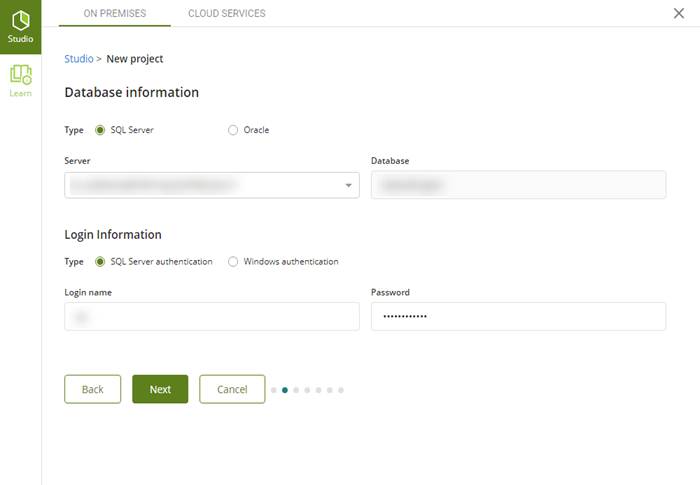 After creating the project, configuration is needed to set the database login account used when Bizagi Studio users connect to the project. The following procedure as noted above, is encouraged to be carried out by the Development project administrator. Login to the Development project host with local admin rights (i.e, connecting via remote desktop) and run the Bizagi Studio installer. Reboot when finished if prompted to. For more information about this step, refer to Install Bizagi Studio. 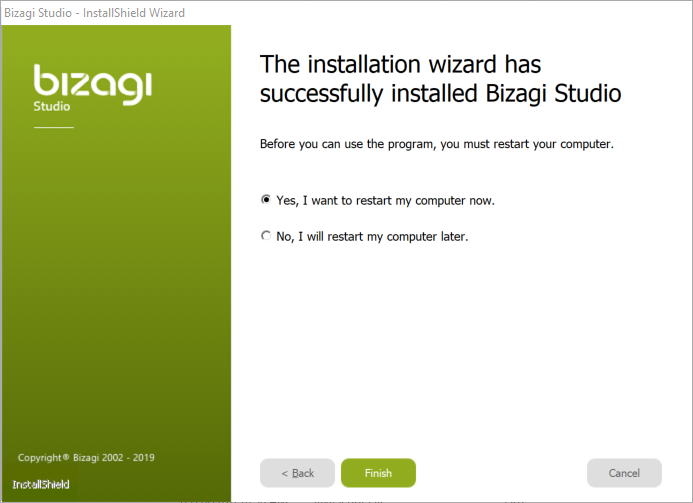 The Bizagi Studio installer will create a local group called Bizagi, and will automatically include the user who installed it within that group. Verify that the Development project administrator belongs to the Bizagi group explicitly (it is listed as an user, not within another group), in addition to belonging to the Administrators group as well (local admin). If any changes are made to the above groups, it is recommended to restart the local Windows service called Bizagi Server Operations Service (for instance, likely to happen when the Development project administrator was not the user installing Bizagi Studio). Create a new Bizagi project in the Development project host (by using local admin rights). For information about this step, refer to Create a Bizagi Project. Once the project has been created, reconfigure the database login account used by the connection in order to set the login for all Bizagi Studio users. To do this, use the Change database option found at the projects list. Confirm when prompted and click Finish. You may restart Bizagi Studio and reopen your project, in order to verify that the database login account was set properly. At this point, the Bizagi project is set. Installation will require local admin rights, but this does not necessarily needs to be done by the Bizagi Studio user. Make sure the version of Bizagi Studio matches the one installed at the Development project host. After installation is finished, and especially if that installation was not done by the Bizagi Studio user but another user instead (for example, a domain admin), verify that the user is explicitly included in the Bizagi group of his/her local machine. Now the workstation is set to connect remotely to the Bizagi project. To browse for the Bizagi project, select the server name of the Development project host (or input its IP if the name is not listed). The list of projects hosted by the Development project host will be displayed in the second drop-down list. Select the specific Bizagi project and click on Finish. The project will immediately load up (you may verify that it opens correctly). At this point, and while explicitly knowing which users are connecting to the Bizagi project, the team leader is encouraged to configure Bizagi Studio security in order to restrict which users may connect to the different resources in the project. For instance, users and groups may be authorized (to view or modify) separately for the different processes, applications, entities or rules. For more information, refer to Bizagi Studio security.